Sanjeev Singh is a self-taught photographer who this year embarked on formal training. Last year, he was on a career path that had nothing to do with photography. In fact, his work had not involved cameras since his days as a photojournalist in Malaysia. He moved to Australia as a student and soon walked a journey that led away from art and the lens. A change came abruptly last year when Sanjeev was faced with a redundancy. It’s clear that re-inventing meant more to Sanjeev than just a new direction. Here he was at the start of a course, the start of a new life, and he was already asking himself about the bigger picture. He thought about what it was he wanted to achieve with these new skills, thinking beyond what he could do to what he could give. Sanjeev dreamed his work would eventually involve collaborating on projects that would touch the lives of others. At a dinner with friends just a few months ago, Sanjeev struck up a conversation with a (then) stranger and was very open about this desire. “I started talking about what I do, that I’d love to do a fundraising project,” explains Sanjeev. 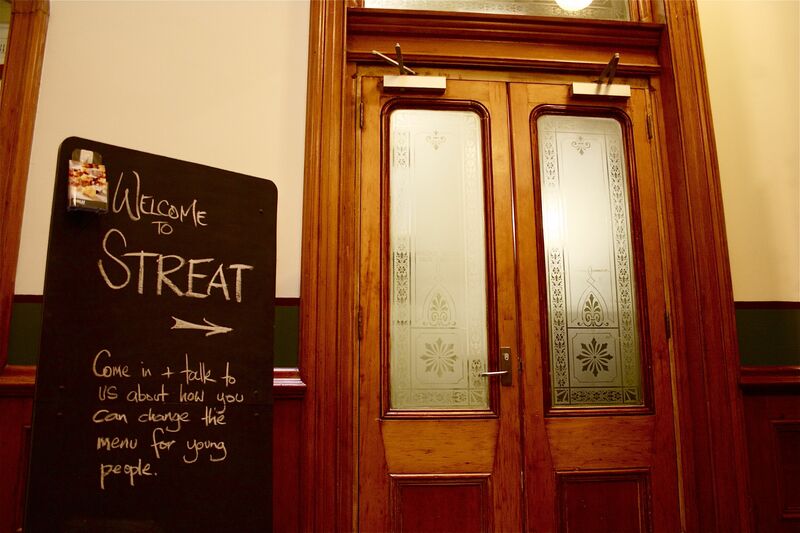 Interested, the stranger asked which group he had in mind to work with and Sanjeev told him of his admiration for STREAT, who provide homeless youths with training and work experience for careers in the hospitality industry. 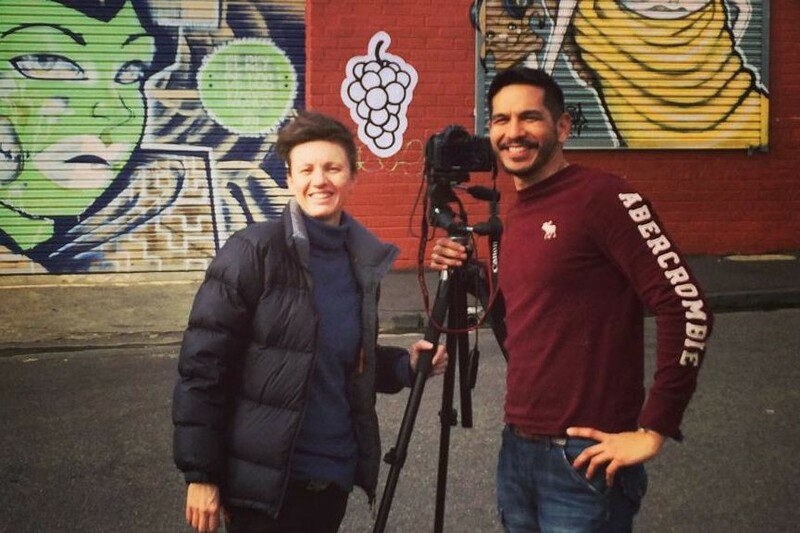 Within a week, Sanjeev met Rebecca Scott, CEO and co-founder of STREAT, a joint project was coordinated, and Sanjeev launched a successful crowdfunding campaign for help in purchasing the photographic equipment he needed to do the work. This sense of ease comes up a lot in this story. There was an immediate rapport, and it seems STREAT were waiting for Sanjeev to come along. Over their first meeting, the project scope grew quickly from Sanjeev’s offer of creating a calendar to also producing a children’s ‘food’ alphabet book, something Rebecca had wanted to do for two years. “I’ve always got some hair-brained ideas for collaborative arts projects and, most of the time, I’m just waiting for the right type of collaborator,” Rebecca says. The right type of collaborator, for Rebecca, could come from anywhere. She says there isn’t a profession she can think of which couldn’t bear value to any social change project and believes so strongly in collaboration, she’s building it into STREAT’s growing physical space. Sanjeev is pragmatic in his approach to getting involved. “We come to a stage where we have to create opportunities for ourselves,” he says. Rebecca agrees, though is mindful of the trepidation and anxiety that often comes with starting out on these journeys. Sanjeev’s story is one of many I’ve come across showing how easy it can be. Without detracting from all the hard work that also goes in, his is a great example of how talking openly about your dreams can get you on the path of fulfilling that vision. Often, it takes the right mindset to be successful. The project is now well underway, with shooting set to finish at the end of the month. Both the calendar and alphabet book will be ready for Christmas sales and all proceeds will go back into supporting STREAT training programs.